Author, Caroline H. Sheppard, received a Masters Degree in Social Work from the University of Michigan and obtained her Trauma and Loss School Specialist and Consultant Certification from The National Institute for Trauma and Loss in Children (TLC). Ms. Sheppard's work with traumatized children and families inspired her to write this story in 1997. Traumatized children desperately need and want to tell someone of the details of their trauma. Unfortunately, children rarely have the words to describe the terror of their experience. Knowing first hand how critical this is for healing, Ms. Sheppard wanted to provide a tool for parents, therapists, counselors, school social workers, teachers, medical and law enforcement personnel to use to help children tell their story. Brave Bart is the outcome of her experience and dedication to children struggling to cope with trauma or loss. Brave Bart was the result of a family effort. John Manikoff, the illustrator and the author's brother, passed away in 2011 after a brave battle with cancer. In addition to his skills as an illustrator and painter, he was a talented musician who wrote and performed his own music for many years. In this book, he captures the heart, the soul and behavior of traumatized children... a very special talent. We are forever grateful for the difference he made in so many children's lives. TLC from trauma to resilience: short-term help, long-term gains TLC PARENT TRAUMA RESOURCE CENTER: Open 24 hours a day. The online Parent Trauma Resource Center is an excellent tool for parents, caregivers and other childcare professionals to easily find detailed information about grief and trauma for all age groups – from infants and toddlers to young adults. Most of the online information is available in English, Spanish and Arabic at www.starrtraining.org/ptrc. Among the topics you’ll find: • Information describing typical grief and trauma reactions and the difference between the two. • Ways parents can help their child, as well as help themselves. • Ways to deal with specific concerns, like behavioral problems, sexual abuse, war, terrorism and more. • Specific detailed activities for parents to use to engage their children and to help calm their anxieties. • Recommended books and resources on grief and trauma. • Helpful links to other websites for specific information. Brave Bart, can be presented to children on an individual basis, in small groups, or in the classroom. After reading the book, a discussion can be tailored to meet the needs of a particular audience. It is important to remember that group discussions should be oriented toward more general themes. When meeting individually or in a small group, the questions can be posed in a more personalized fashion. Below are some sample questions that could be asked either during the reading of the story or after the book has been read. Questions for individual presentations: 1. What do you think happened to Brave Bart? 2. Have you ever had something very bad, sad or scary happen to you? Do you want to tell me what happened? 3. What are some feelings you have had that are like the ones that Brave Bart had or experienced in the story? 4. Brave Bart and Helping Hannah came up with a list of ways to feel better. Can you think of some ways to help yourself feel better when you are feeling sad, mad, nervous, etc.? 5. Who can you talk to when you are feeling sad, lonely, mad, etc.? Suggestions for group presentations: 1. Keep the questions focused on the characters and events in the story. 2. Ask what the children think happened to Brave Bart, but keep the focus away from their own life situations. 3. Ask them to name the people they can go to if something bad, sad or scary happens to them? 4. Ask the children to come up with a list of things to do when feeling sad, mad, nervous, etc.? Write their ideas on an easel or blackboard. NOTE: We highly recommend that Brave Bart be used with What Color is Your Hurt? a trauma-specific program for use with children in groups or individual sessions. This program covers the many issues and reactions children experience following exposure to a violent or nonviolent incident. We also recommend the use of the Powerpoint version of Brave Bart, available for purchase as a download, which is an excellent way to show the Brave Bart illustrations to a large group or use in a presentation. English text as well as Spanish, Japanese and Tetun translations are included on the flash drive. 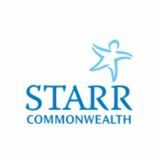 For more information call TLC toll-free at 877.306.5256 or visit our website at www.starr.org/tlc. My name is Bart. I am a small black kitten who had something very bad, sad and scary happen, just like the scary and sad things that happened to you. Even though it has been very hard for me, I have learned a lot because of what happened. and that there was nothing wrong with me for having those feelings. I found out that my feelings were all OK.
Let me tell you my story . . . After the very bad, sad and scary thing happened, many things changed in my life, especially my feelings and how I acted. At first, I thought I was the only one who ever had something this bad happen to them. I also thought that my feelings were weird and stupid. My feelings sometimes scared me. I thought nobody could possibly feel the way I did. Helping Hannah told me that she knew other cats who had very bad, sad and scary things happen to them. She said, â&#x20AC;&#x153;They felt like what happened to them was their fault.â&#x20AC;? And, they, too, had scary dreams, stomach aches and scary feelings, just like me. I learned that I was not alone! I couldnâ&#x20AC;&#x2122;t stop the bad, sad and scary thing from happening. I couldnâ&#x20AC;&#x2122;t change the feelings that I was having. I had stomach aches, and I felt scared most of the time. Before the very bad, sad and scary thing happened, I walked with my head and tail held high. My coat was shiny, and every piece of fur was in place. I took very good care of myself. I felt powerless because I couldnâ&#x20AC;&#x2122;t change what had happened to me. It was like not being able to run and jump like I used to be able to do. I didnâ&#x20AC;&#x2122;t even feel strong anymore. I felt hopeless because I thought that things would never be the same again. I thought that tuna fish would never taste good again and that my family would never be the same. It made me feel really sad. Helping Hannah told me that the bad, sad and scary thing that happened was not my fault. After the very bad, sad and scary thing happened, my coat was dull and my fur looked messy. I just didn't care about taking baths or grooming myself anymore.